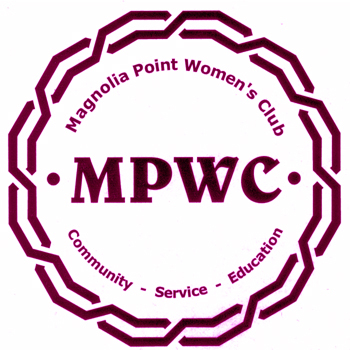 The meeting of the MPWC was called to order by the President, Nancy Nettuno at 3:05 pm. Nancy thanked Marsha Zupan, Sandy Magyar and Joyce Berry for their part in the Donna Hicken luncheon in February. Great job! Judy Williamson welcomed new members. The Hospitality Committee has received a new resident list and the group is working hard to welcome all who have recently moved in. If you know of new residents, please notify Mary Mackey. Minutes of the January meeting were accepted. Nancy read the Treasurer’s Report. We have $442.25 in the checking account, $5,515.00 in the savings account ($3,000 of that amount is reserved for scholarships), and $1,012.00 in the Charles E. Bennett account. The Charity Committee has finished their work for this year. Requests for assistance will be considered for next year. The website has all information regarding asking for assistance and forms. We now have 190 members. Barbara Szymanski will give a full report on the Charles E. Bennett activities next month. We have money if help is needed. There were no requests this past month. Sue Dake had a meeting regarding luminaries. It was a good year last year, but we could do better. She will report at our next meeting. If there are any suggestions for next year, please e-mail or call Sue. The Scholarship Committee has sent out applications for our three scholarships. Thresa Oliverio will pick up the applications on April 3rd and will duplicate them and give to the Committee. She will hold a meeting to decide on the recipients and the awards ceremony will be held in May. Mela Abate gave the Sunshine report. Helping Hands has been sending three meals a week to Susan. Anyone wishing to join the team, please call Kathie Cardon. Jackie McCann will report on day trips next month. The Book Club meets the last Wednesday of every month. The newsletter will be published again in April. Geri Isgan reported that the Lions Club is looking for any kind of glasses. There is a box in the Ladies Locker Room at the Club. The box for soup labels and Box Tops for Education is also in the Ladies Locker Room. Thank you to all who have participated in this worthy cause. Hattie and Jack Rettinger are in Houston to treat his reoccurrence of leukemia. They would appreciate any e-mails. Their e-mail address is in the Women’s Club book. Nancy Nettuno and Kathie Cardon are heading the nominating Committee for next year’s officers of the Club. Judy Williamson made a suggestion that we raise dues to $20.00 next year. This would fund the scholarships with no extra fundraisers. We would still have income from the directory adversements and luminaries. This will be proposed at the April meeting. Please send an e-mail to Nancy with your opinion on this suggestion. Marsha reported that the May meeting will be a fashion show at Draper & Damons on May 10. Lunch will be included. Denise Beauchamp reported that a lunch for Habitat for Humanity volunteers (college students) will be provided on March 21st . The Club will provide 25 box lunches at a cost of $200. Habitat is planning an all-female build in October. More information will be received on this at a later date. The meeting was adjourned followed by a presentation from Deborah Smith, the Education Coordinator from the Poison Information Center in Jacksonville.